The Storm375 should be your go-to headlamp in tough conditions, it has a tough waterproof and dustproof housing along with 375 lumens of bright light. It has a new compact body which makes the Storm375 more ergonomic along with an updated user interface which includes a secondary switch making it easy to switch modes, along with this the optical efficiency has been updated which not only gives you brighter light it also saves battery life which you can now track with a six setting, three-LED battery meter. The Storm375 has three different coloured night vision modes and peripheral white lighting for close range activities like reading a map in the dark and this prevents the reflection of the light hurting your eyes. 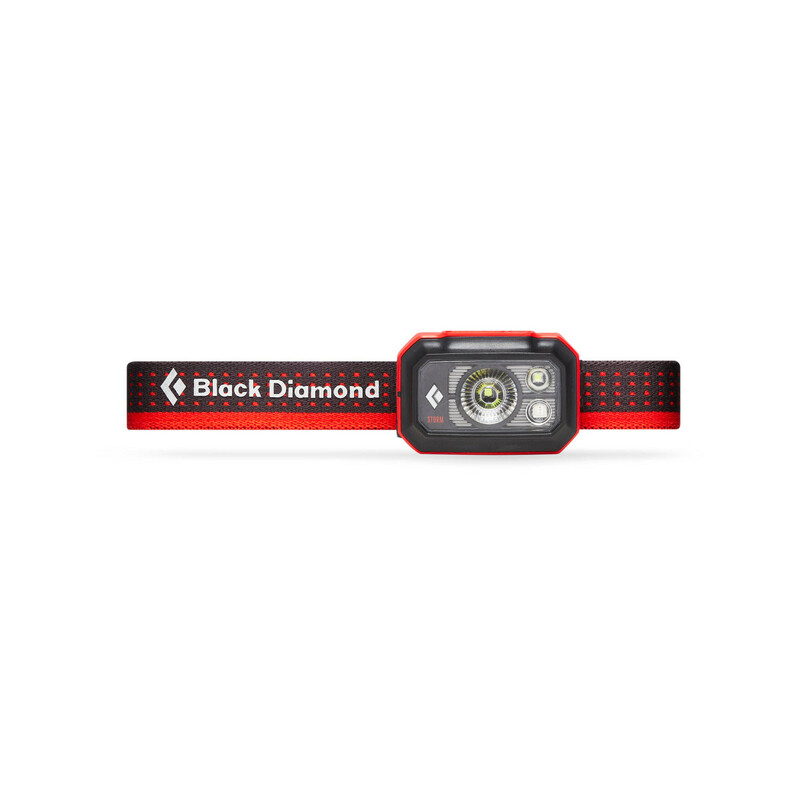 It also includes a Brightness Memory feature which lets you turn the headlamp on and off at the brightness you have chosen without it going back to a default setting. Another handy feature that the Storm375 has is you can access full brightness at the touch of a button, perfect for when you need a quick look at what the next pitch you have to climb involves. > Waterproof and dustproof: Sealed housing withstands immersion over 1m for 30 minutes (IP67)"